Keep on always in headlines his powerful 2/3 majority government on the core issue like as GST, note denomination or by means of his slogan” Achhe din Aagayee” and failure mission of BJP-PDP coalition government in Jammu and Kashmir. Many senior politicians and active workers decided to left the PDP-BJP party and joins National conference become big challenge for the both parties to get the majority of vote again once in upcoming elections. Dress vote actor role came in the minds of the people when everyone acknowledged on the day of 20 August 2016 PM Modi Ji’s suit most expensive sold at auction, rules Guinness records. The suit finally went to 62-year old Laljibhai Patel, a Surat-based diamond merchant, for Rs.4.31 crore and the money was assigned for the Prime Minister's campaign to clean the River Ganga. 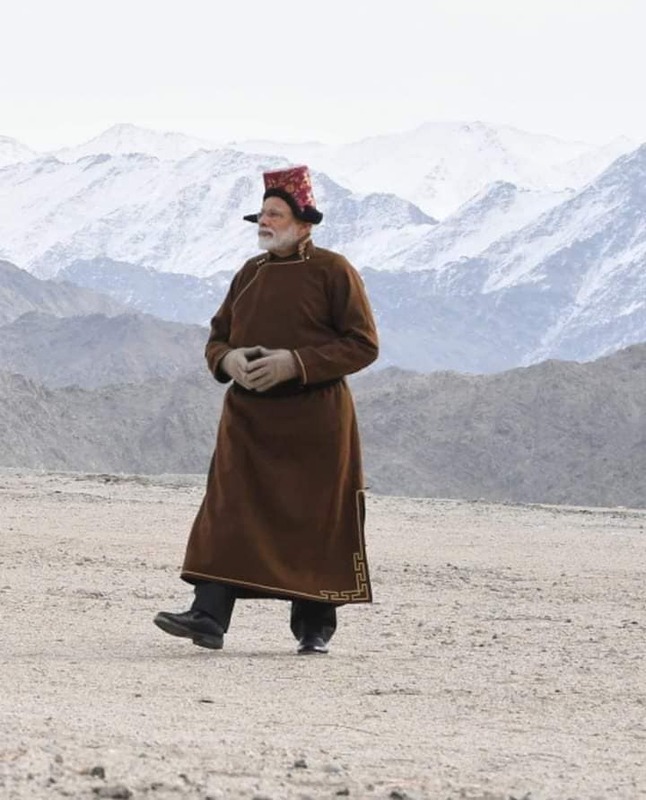 During his whirl wind tour to the three regions of Jammu and Kashmir the Indian crown state, Modi ji worships “ Karakuli “(Cap)In Srinagar while as wore “Safa-Dastar”( turban) in Dogras belt area at vijaypur in Jammu and similarly “ Gouncha” of Patriotic Ladakhi’s. You know what one senior citizen says on the anonymity basis that in the beginning during his Prime minster ship Modi Ji the dress vote actor refused to wear the skull cap now he is wearing the Karakuli which is against the environmental Act and environmental rights of animals (new born lambs) which is heartless entry for all. While on the other hand the writer finds out the comment on social site from one Indian citizen was clarifying the cap of Modi ji as woolen one. You know that in many ways, the world has never seen an Indian Prime Minister like him: one, who flaunts (and makes all of India gush over) his stylish Bvlagri spectacles frames, expensive Movado watch and swanky Mont Blanc pens collection. Some scribes with merry making joke have already expressed that “don’t worry, we’re not going to push a political agenda, just a fashionable one. The time we learnt that our PM is more than that business guy who needs to look sharp for the competition and that creative type who dressed up because he likes to. The most important fashion piece never goes out of style. More and more people called him dress vote actor.